With an international ice-class rating of 1B, General Tours expedition vessel is perfect for exploring remote regions of the North Atlantic. 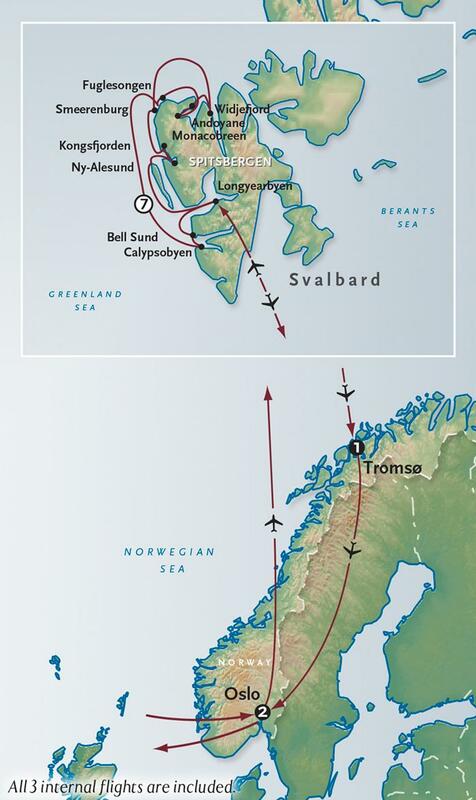 Its exceptional maneuverability, shallow draft and powerful engines, allow the Ocean Atlantic to navigate all the way north to the 80th Parallel – and into the deepest and most remote fjords. General Tours ship was recently renovated with welcoming public spaces and comfortable accommodations for just 198 passengers – and an experienced crew and Expedition Team of 140. All staterooms feature private en suite baths, individual climate control and television. International cuisine is served in a bright, spacious restaurant and the panoramic lounge features large windows, plenty of comfortable seating – and even binoculars. A full fleet of Zodiacs allow for exciting exploration on land and water with General Tours fine Expedition Team. Situated in the center of this northern coastal city, General Tours strikingly modern hotel enjoys a wonderful setting by the harbor.